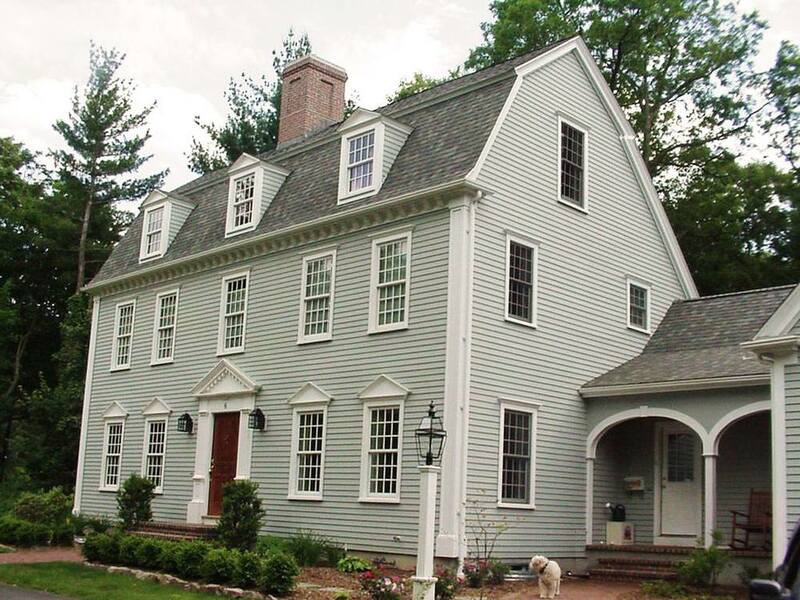 Originally designed to be more convenient and commodious than graceful or picturesque, the arrangement was a popular style throughout the colonial period and into the early Republic, perhaps because of the simplicity of its design. 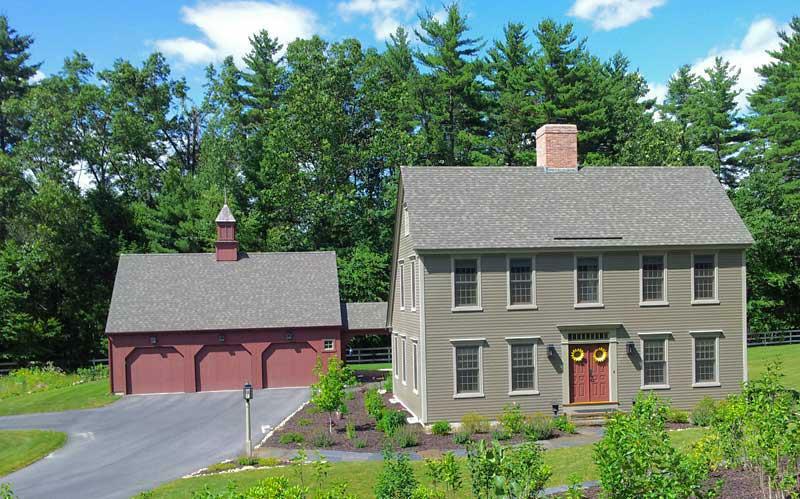 The flat front and central chimney are features of this cleverly constructed home. 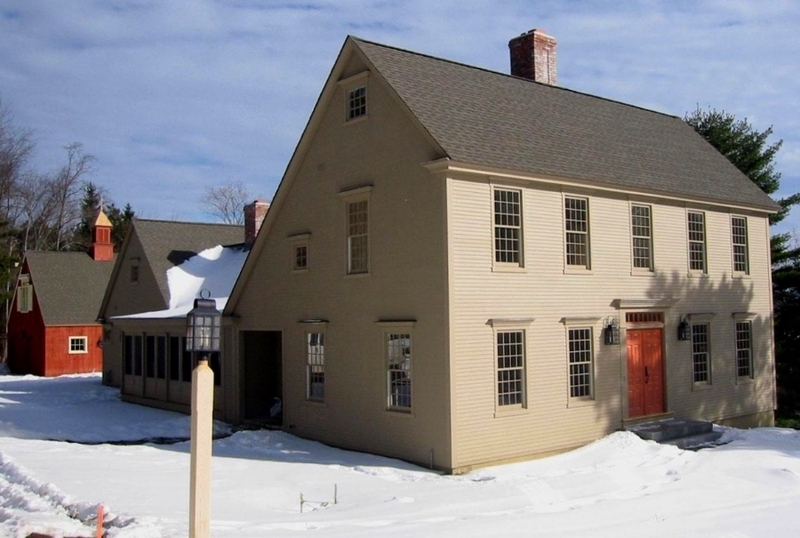 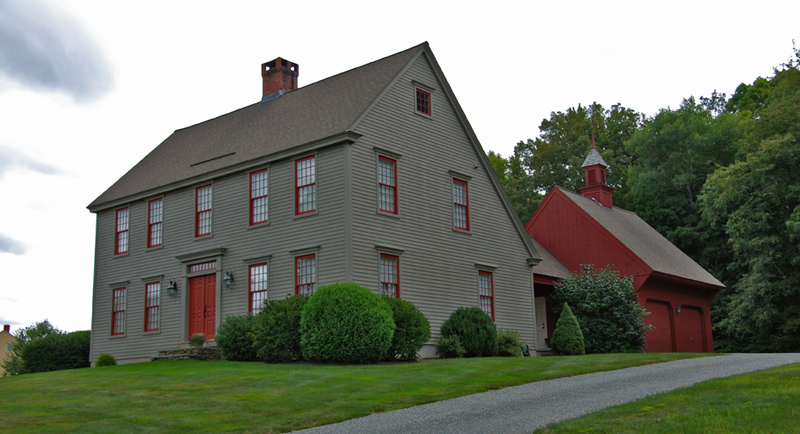 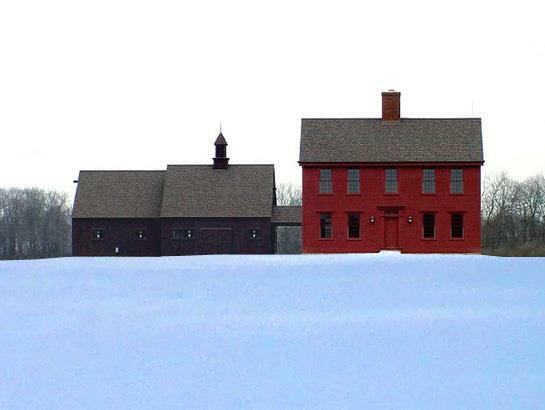 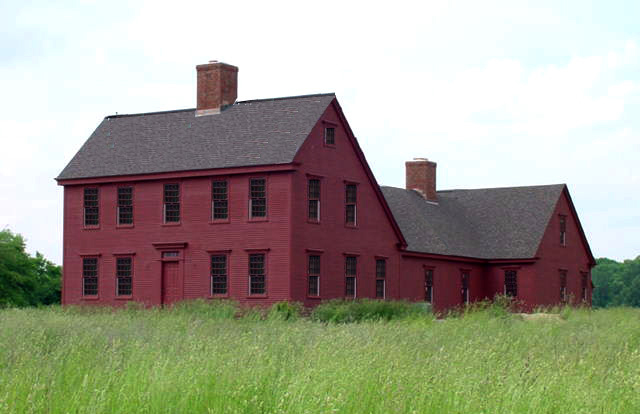 The earliest saltbox houses, along with many other types of colonial houses, can be considered to be a timber-frame house; metal nails were sparingly used, because of their expense. 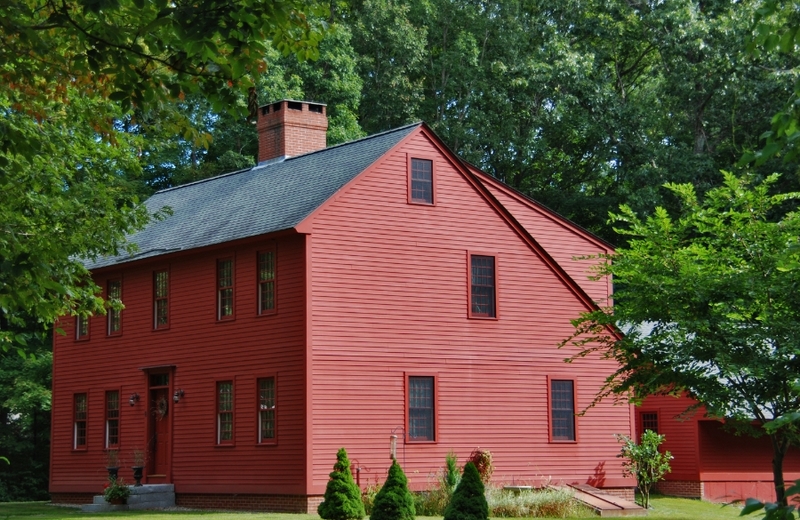 The exterior of a saltbox was often finished with clapboard or other wooden siding. 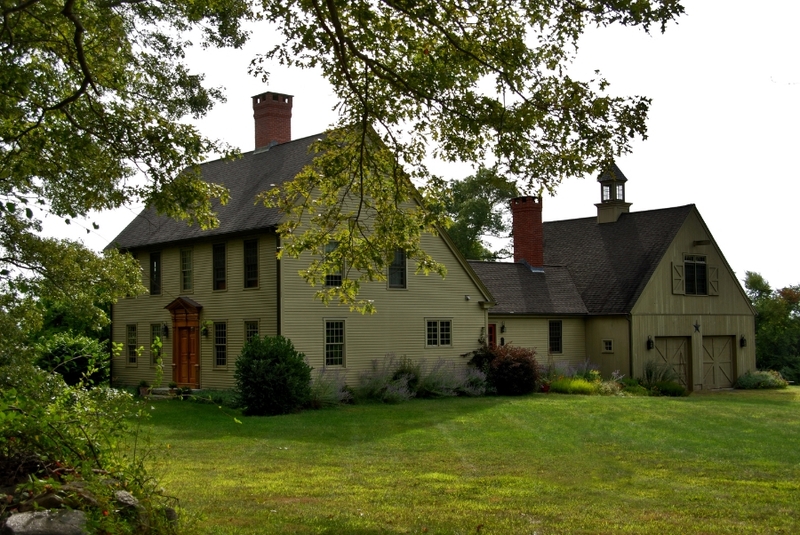 Exterior and interior detailing was often understated in the developing years, yet became more elaborate as the decades progressed. 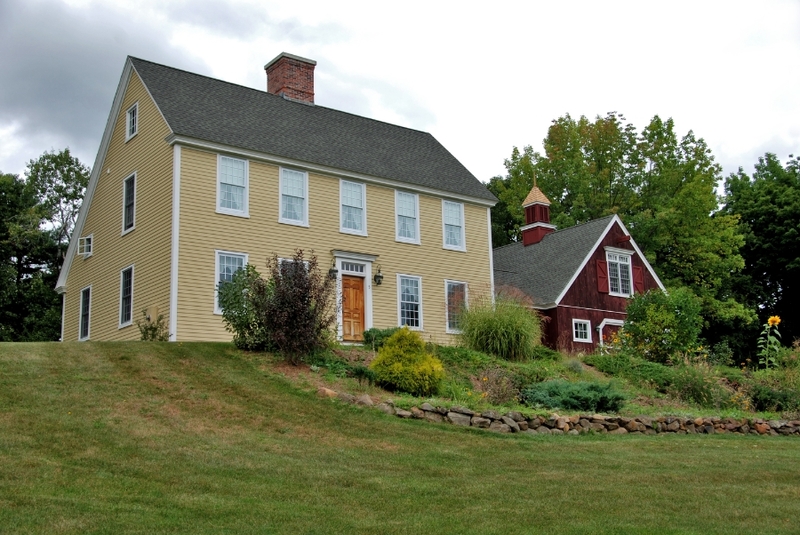 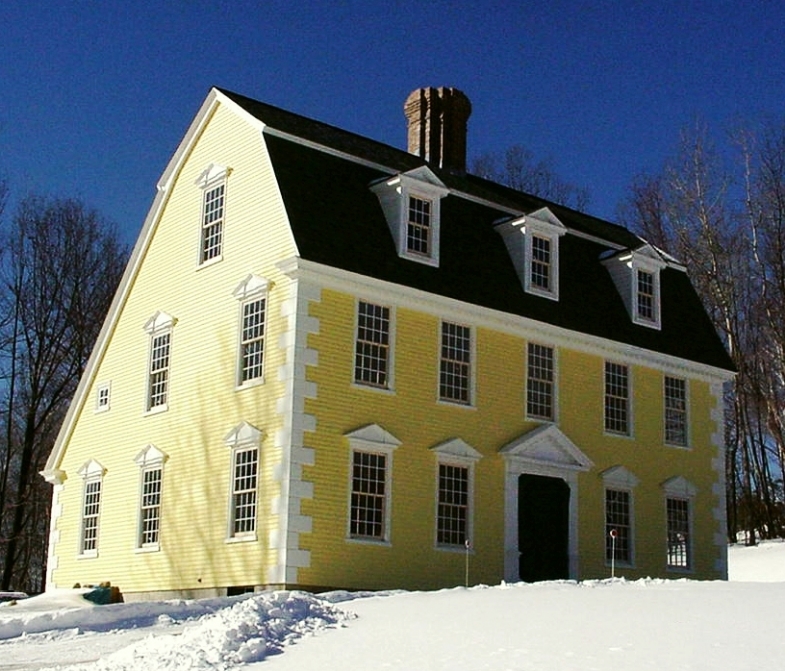 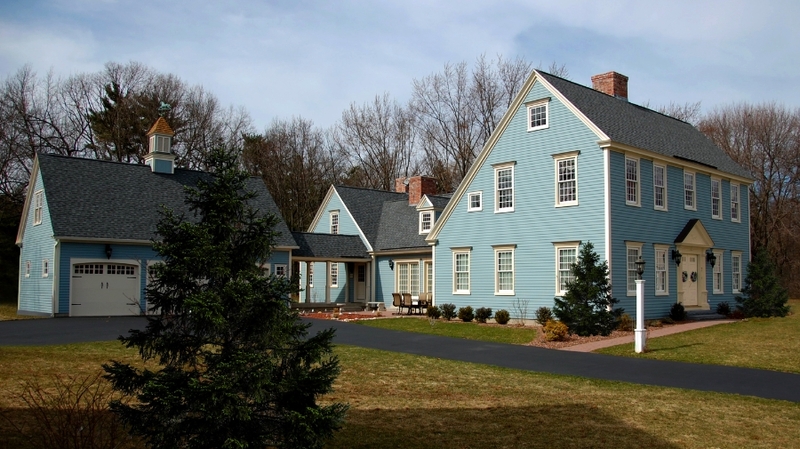 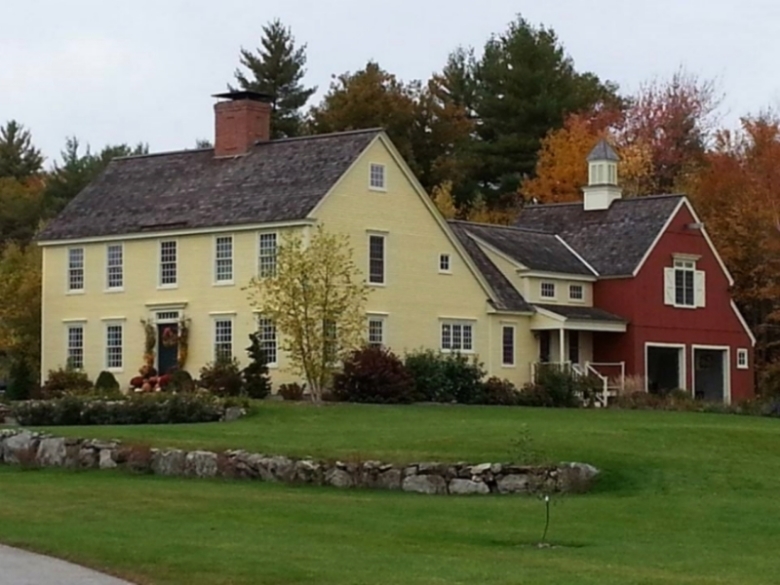 Today, its functional and honest construction has become one of the most celebrated styles in New England.